Lorna Crozier's radical imagination, and the finely tuned emotional intelligence that is revealed in the clarity of her poetry, have made her one of Canada's most popular poets. Before the First Word: The Poetry of Lorna Crozier is a collection of thirty-five of her best poems, selected and introduced by Catherine Hunter, and includes an afterword by Crozier herself. Representing her work from 1985 to 2002, the collection reveals the wide range of Lorna Crozier's voice in its most lyrical, contemplative, ironic, and witty moments. 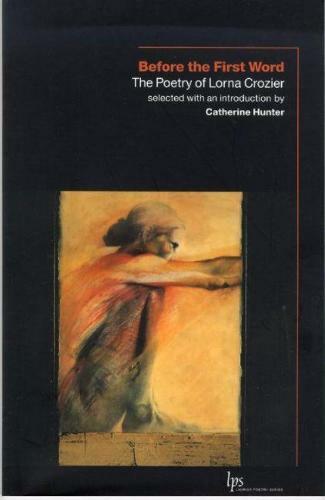 Hunter's introduction discusses the poet's major themes, with particular attention to her feminist approach to biblical myth and her fascination with absence and silence as sites for imaginative revision. Crozier's afterword, "See How Many Ends This Stick Has: A Reflection on Poetry," is a lyrical meditation that provides an inspirational glimpse into the philosophy of a writer who prizes the intensity of awareness that poetry demands, and is tantalized by what predates speaking and all that cant be named. An engaging volume that will appeal to undergraduate students as well as general readers of poetry. Lorna Crozier's work has won many awards, including the Governor Generals Award in 1992 (for Inventing the Hawk ), the first prize for poetry in the CBC Literary Competition, the Canadian Authors Association Award for Poetry in 1992, a National Magazine Award in 1995, and two Pat Lowther Memorial Awards (1993 and 1996) for the best book of poetry by a Canadian woman. She has published fourteen books of poetry, most recently, Whetstone . Born in Swift Current, Saskatchewan, she now lives in British Columbia, where she is a Distinguished Professor at the University of Victoria.